The latest Global Dairy Trade auction took place Wednesday and the upward trend for Whole Milk Powder, in particular, reversed with WMP dropping by -2.1% to US$2,883 and the total product average by -3.6% largely driven by butter which had an -8.1% drop and cheddar which dropped by -4.7%. Compounding the issue in the short term is the fact that the Kiwi dollar has had a rally against the US$ moving from the mid to high 65 cents to US$0.6708. An irony is that only earlier this week based on the USDA Oceania prices and a Kiwi $ at US$0.6596 the WMP in kiwi dollars was sitting as high as it has for a number of years (May 2015). Not many commentators are backing a $7 per kg MS this season but given the volatility of both the dollar and the milk price you’d be brave to pick any price. The reasons for the downturn are a combination of skitters in China with the Trump trade bans creating uncertainty and what could be considered over production or under demand. In the US the fresh milk price has been quietly dropping over the last three years from US$15.70 per cwt down to $15.20. Leading to more milk being diverted into product which is impacting upon global prices. While in the EU, dairy production from January to the end of June is nearly +2% ahead of the previous year which equates to 1,476 thousand tonnes. From June onwards, Northern hemisphere productions falls away considerably and no doubt there is a lag with processing times so perhaps by the next GDT there may be an increase in demand, although with high stocks to clear this won’t be dramatic. The new Chinese controlled Mataura Valley milk processing plant has just recently opened. Given most agree New Zealand, and presumably Southland, have reached peak milk I struggle to understand the logic behind why farmers would not support the two existing processing plants in Southland (three if Blue River is included) and dilute their capacity. A multitude of plants have sprung up around the country in the last couple of year and the rationalisation experienced in the 1990’s to 2010 seem to have disappeared. I can’t help but wonder if Fonterra had the ability to say “no thanks’ to returning discontented suppliers from other companies, whether so many would be prepared to chance their arm in different pastures and leave the co-op. While cattle prices have been holding well and some have commented that well coloured calves are selling well, in the Canterbury region this is certainly not the case. The Temuka Calf sale was cancelled and one calf rearer contacted has reduced numbers from 800 normally reared to 400 in case they are caught out with M Bovis. Another trader normally takes on some dry dairy cows to add value to and they also are not doing this trade now. Stories like these abound so it will be interesting to see how the bobby calf kill in particular pans out this year. It is likely to be well up at a time when there is increasing focus on the ‘wastage’ this practice has and some traction was starting to appear around systems able to economically rear these animals. Another concern that is currently doing the rounds is the unwelcome focus, from a landowner perspective, that glyphosate is receiving. A lot of anecdotal reports of facts about the dangers of glyphosate are being trotted through the media. However, they are being promulgated by those with agendas and the facts get lost in the hype. The USDA do not regard glyphosate as a problem which is the same attitude adopted by MPI. No-one is denying that traces can be found in grains and other crops but they at level well below human risk levels. Usage has gone up over the years, but rather than from applying more to crops it is largely a result of the move to minimal tillage which helps maintain soil structure and stops carbon being released into the atmosphere. 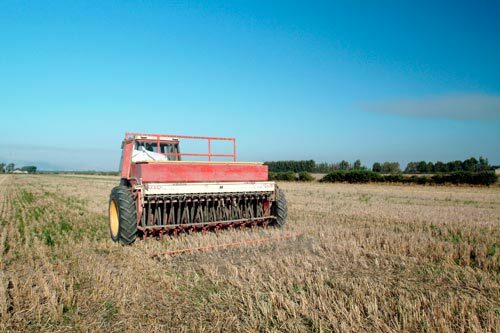 However, minimal tillage, or direct drilling as it is more often called in New Zealand, does require chemical killing of existing pasture and weeds. In the US alone over a 22-year period minimal tillage went from 5% to over 20% of land cropped. If and when glyphosate is proved to be a problem, then ban or restrict it. In the meantime, let the science drive policy not the ill-informed who have agendas based on their opinions rather than facts. The risk is that politicians listen to those who make the most noise and at a time when agriculture is under assault from many areas, much of them ill informed, if science is disregarded then we are on a slippery slope. You question why more processing plant. Do farmers really risk this for the sake of $50 extra? I 'm not sure why you would send a pregnant cow to the works anyway. Usually they are culled for not getting pregnant ,perhap if they suffered a injury or disease after giving birth. Agree with with what I presume to be your sentiments Andrew and one of our leading Fed Farmers has a major role in this trade I understand. Makes it a bit hollow to criticise SAFE while 'we' condone this still. Its my understanding you must not send cows within 5 weeks of calving. This stuff is pretty useful. Vaccines is one use. I wonder how many of SAFE's crew vax their kids. Solardb - a heifer will fatten faster if pregnant so out goes the bull to get her producing prime beef faster and the calf/blood is another bonus for us poor hard working farmers, provided she fattens before she's due to calve!